Stories Behind: A Duke with a Cone? There are some statues that mark their presence with a twist. And, this is one of them: the statue of Duke of Wellington in Glasgow. The statue is a part of the cityscape and famous with its cone on top of it. The statue was erected in 1844. So, the story goes back some time. Not a definite one. It is not certain when the cone was first placed. But, one day, people of Glasgow woke up with a scene that an equestrian statue of a mighty Duke appeared to have a traffic cone on its head. The statue was listed one of the top ten most bizarre monuments on Earth by Lonely Planet (inews). The statu is loved by the public and the tourists that it has many appearances such as the one below: a replica of the statue erected in the opening ceremony of Glasgow’s 2014 Commonwealth Games. Lovely, isn’t it? Despite the statu’s popularity, the cone was removed and put back several times. The council even enacted some plans to end this tradition of putting the cone back. The plans were backfired, for obvious reasons. Who does not like a Duke with a cone? Why would it be another boring man with a horse? The council had said that raising the height would end a practice which projected a “depressing image” of Glasgow and would save the £10,000 cost of removing the cone 100 times a year. The scheme would have seen a new granite-clad concrete base of 86cm (34in) added to the memorial to raise its overall height. However, the council has reconsidered its decision after an online petition called “Save Wellington’s Cone”, which gathered thousands of signatories in just a few hours, and a Facebook campaign which had planned a rally in support of the cone. In addition, as the campaigners state “The cone on Wellington’s head is an iconic part of Glasgow’s heritage, and means far more to the people of Glasgow and to visitors than Wellington himself ever has.” (BBC). Also, in the campaign, there are a couple of good points which may affect the council’s decision such as “does anyone really think that a raised plinth will deter drunk Glaswegians?”. Well, I agree with that! There is one point we are not quite sure: What would Duke Wellington think about this? Luckily we have historians! According to inews, Dudley-Edwards argues that “Wellington himself would have been amused by the practice and embodied the ‘keep it coney’ ethos” as “He liked to keep it real”. At the end of the day, the pair of the statue and the cone is a Rabelaisian embodiment, a standing in-your-face against mightiness of equestrian figures. While equestrian figures are usually associated with power and glorification of a person, the cone turns the statue into a human being again. It leaves you with a smile (and with a selfie apparently if you are visiting the city). Even better, the statue is located right in front of the Gallery of Modern Art as the second twist in this story. Yes, that is right. There is a classical equestrian statue right in front of a modern art gallery and it has a cone on the top of its head! Bonus: A rare shot of the statue without a cone, but with a seagull! Turkish villagers have a secret language. They use a sophisticated system of whistling known as “bird language.” The high-pitched whistles help villagers communicate across long and mountainous distances. By 2030, over 90% of the UK population will live in urban areas. It’s more important than ever to understand how we live, work, and travel in our cities. Imagine you could know the most popular cycling route to work, the quality of air on your journey, or how pedestrians respond to weather. Through Glasgow in Motion, you can view and interact with data through time, to better understand movement and other factors that affect Glasgow residents every day. It is a great project which returns the collected data to the use of citizens after anonymizing it. The interactive map shows busy and popular routes for walking, running and cycling. The range of data presented goes back to 2013 and the mst recent data is from 2016. Check here for the details and exploring the interative maps. Measuring Magic: It is All About Love Dear! As folks of great Earth, Wind and Fire told us, it is All About Love, and Fred Kent of the Projects for Public Spaces cannot agree more! 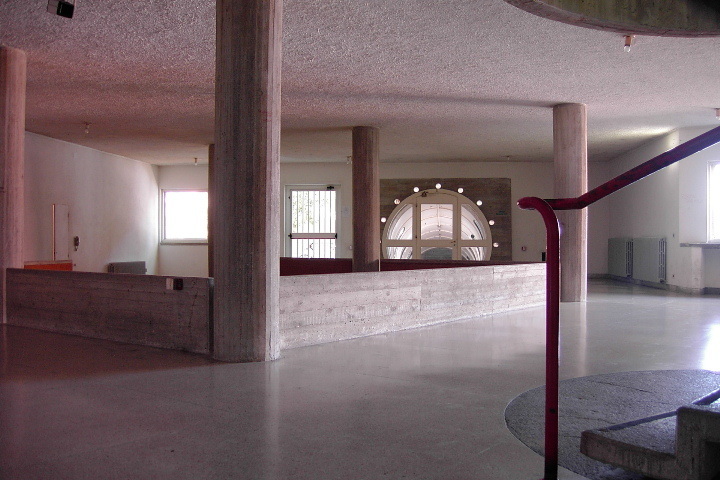 Check this great article on what makes public spaces places for people! Or you can just listen the folks below. Tombili was one of the many street cats in Istanbul. A statue was erected to honour her and this is the story behind it. Cities in Turkey are famous with cats roaming free. Although the cats live o streets, it is hard to call them strays or feral cats. They co-habit with people for centuries. They are part of urban culture in Turkey. Recently an award-winning documentary on the lives of cats in Istanbul was in cinemas, as you may have seen it already. Individuals, and sometimes municipalities, take care of the needs of these beloved neighbours by feeding them and taking care of their health issues. For winter times, some individuals, NGOs and municipalities locate cat houses on streets to help them to survive in colder days. Tombili was a beloved cat citizen of Istanbul and roamed on her street for almost 10 years. She became an internet celebrity when his famous pose is posted on the net. Tombili means chubby in Turkish and she is called as Tombili by her fellow humans for obvious reasons. A statue was erected on her favorite spot for her memory after her death. People loved her so much. She became a mascot for the street with her laid back lifestyle. After her death, people started a petition to honour her and collected more than 17000 signature, which let them to erect the statue in October 2016. I am not quite sure if it is the only street cat statue in the world, but it took attention from the media all over the world. Unfortnately, not everyone values the friendship between Tombili and fellow humans. The statue was stolen in November in the same year, almost within a month after its opening. It sparked an outrage. Social media outlets were flooded with anger from people condemning the culprits. The thieves could not be indifferent to this massive outcry, and returned the statue to its place within a week. The statue is now on Ziverbey Street, Kadikoy, where it belongs. Tombili is still in her neighbours’ lives with this statue. And this is the story of Tombili and her legacy. 1 city, 26 maps, a whole lot of Barcelona! Barcelona is an amazing city in many ways! It has an interesting history of urban development as well. Museu D’Historia De Barcelona released an interactive map cobining 26 maps of the city through its history. It overlaps loads of infomation about the urban development starting from 150 AD to 2010. I am starting new series called “Stories Behind” focusing on the stories behind statues on the streets. The series starts with a brave woman, Mary Barbour, whose statue was erected in Govan, Glasgow today at the International Women’s Day. The early 1900s were the times of overcrowding and poor living conditions in Glasgow. The rent strikes were against rent increases up to 25%. As a result of the successful fundraising Remember Mary Barbour Campain, the statue was erected and commemorate her legacy and as a constant reminder of the legendary rent strike in Glasgow. It was a very crowded commemoration with several groups of people gathered around the statue. Some stories are never forgotten. After a hundred years, Mary Barbour’s statue now stands at Govan Cross. Well-deserved Mary. In the sixties, London was swinging and Harold Wilson had promised a new Britain forged in the ‘white heat’ of a technological revolution. 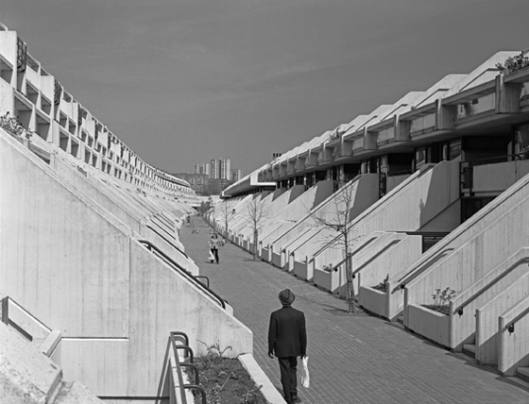 That may have been hype but something of it resonates when you look at Camden’s Alexandra and Ainsworth Estate – Alexandra Road or even Rowley Way to its friends. There was hope in the air and Camden was well placed to capture it. 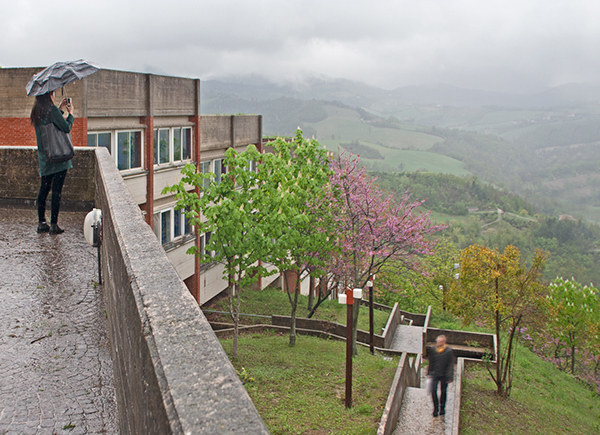 Collegio del Colle is located in the hills of Urbino. 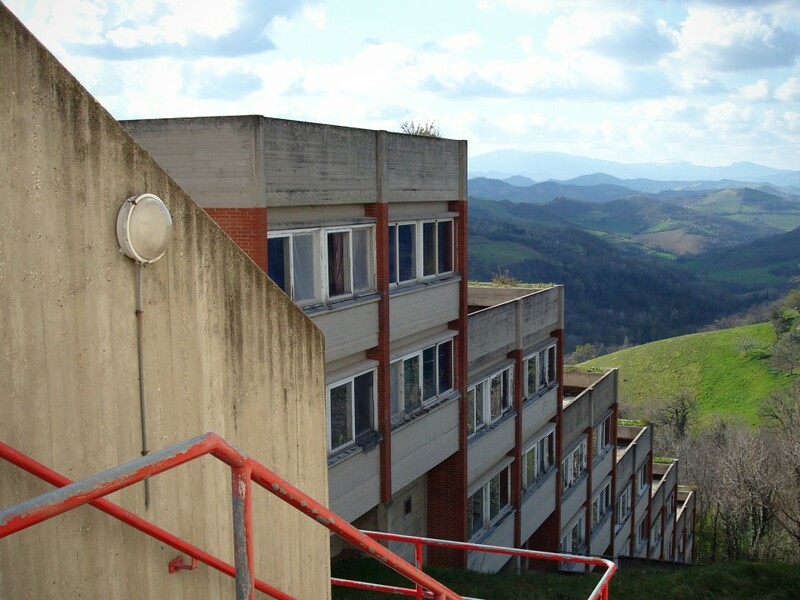 It is the first one of four university colleges realized by De Carlo between 1973 and 1983. 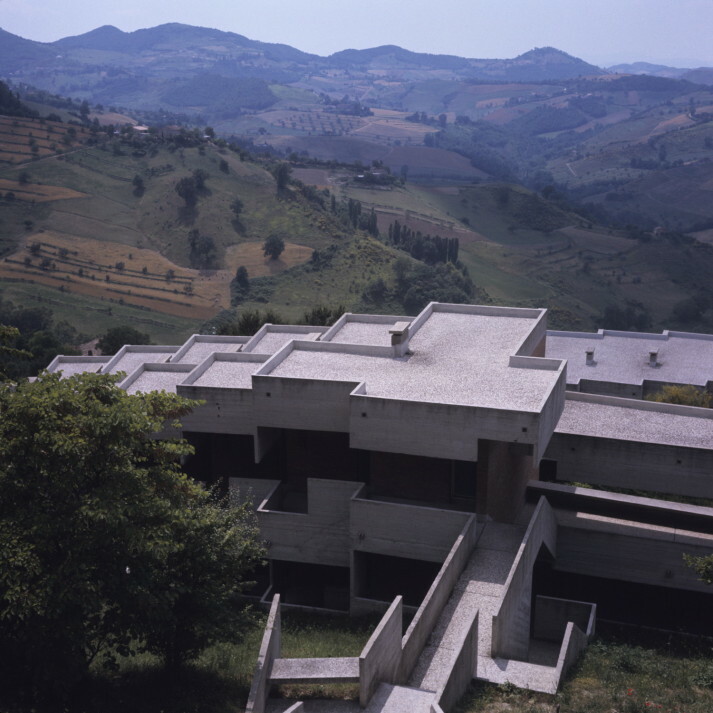 The sloping terraces follow the land shapes. 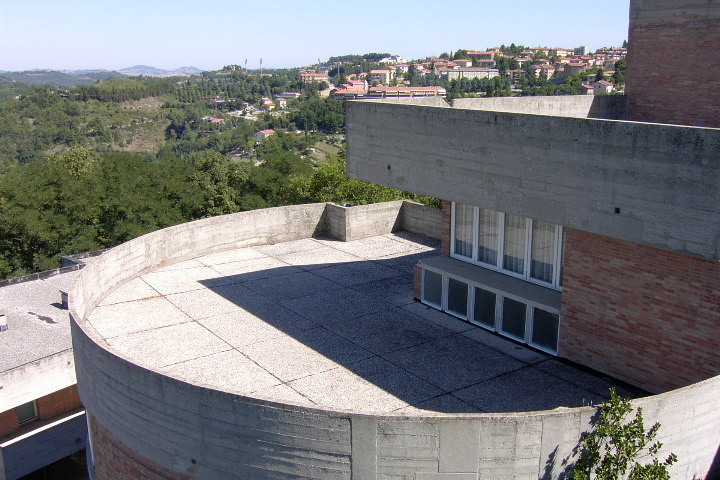 De Carlo tries the interpenetration between the shapes of architectural volume and the morphology of Urbino. This section represents a cell, which is composed by two bedrooms in two different floors.